Some 74 nautical sea miles north of Zanzibar is Pemba Island, an under-the-radar African jewel. Constance Aiyana is one of only a handful of luxury resorts on the island. Getting away from it all isn’t that easy. Especially when “getting away from it all” doesn’t include getting away from all the comforts you’d like on a relaxing holiday. Your idea of an idyllic tropical Indian Ocean island can turn out to be one shared by an annoying number of like-minded travellers. Ever since Thomas Cook organised his first “package tours” back in the 1840s, the beautiful white beaches you see in photographs are often occupied by tourists also out to enjoy the balmy weather. Visions of solitude, personal attention, and rest for body and soul tend to evaporate. This is where a resort like Constance Aiyana on Pemba Island pulls off a remarkable feat, offering an isolated retreat complete with all the luxuries and the service you’d expect of a five-star resort – minus the commercial trappings that tend to go with such destinations. 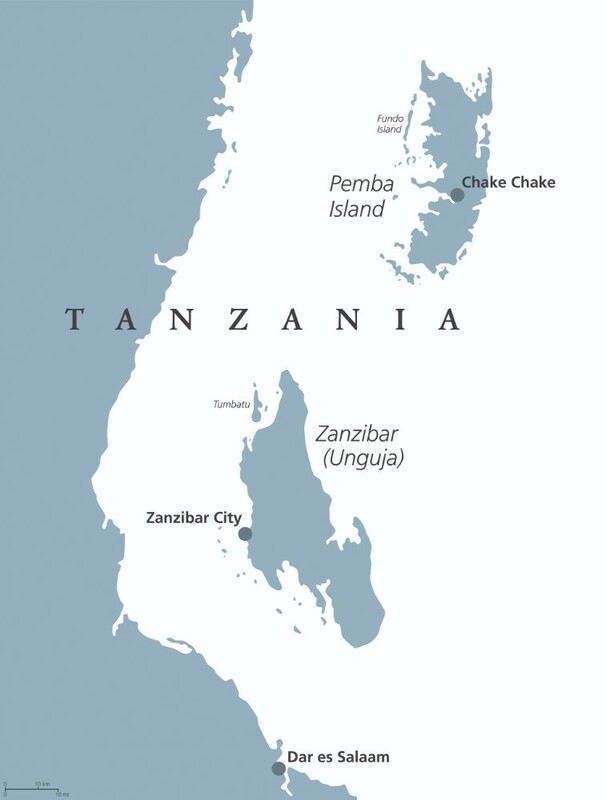 Pemba is reachable via ferry or a scheduled charter flight. Then it’s a 90-minute 4×4 “safari” (as our driver who picked us up in a Land Cruiser at Pemba Airport called it), or much longer in the rainy season, to get to Aiyana on the north-west tip of the island. From Chake Chake, the capital, it is a 72km trip, first along a paved road and then dirt road through villages and settlements and farms and a forest reserve. 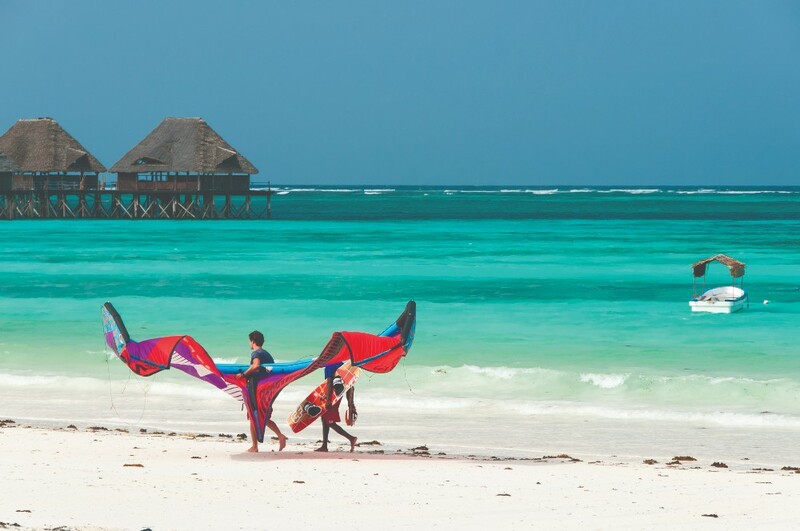 The resort overlooks a calm sea where commercial fishing is not allowed – the water is shallow close to the shore and then drops off to the deep Pemba Channel between the island and the Tanzanian mainland. It’s hard to avoid clichés to describe the setting: the sea really is that implausible translucent turquoise you see in the website photos and the beach is that white, with palm fronds framing the scene. Aiyana lives up to its name, which means “ever-blooming”. The gardens are planted with a wide variety of plants and there are always fresh flowers in vases, arranged by staff members who have been trained in the art. The resort, with its 30 villas, reflects an eclectic mix of influences: a hint of Greek island in the brilliant-white walls against blue sky and lush vegetation, a touch of Bali in the ornate doors and the spa treatments, elements of Hindu iconography, and Swahili fusion in the furnishings and ornate doors made by local carpenters and other crafters. Artworks, including sculptural pieces made of the wood of old dhows and ngalawas, dot the gardens and communal areas. 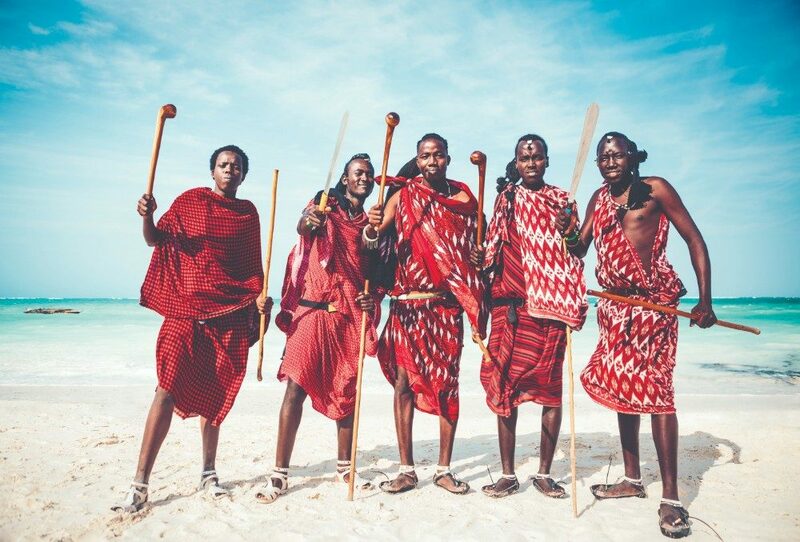 It took eight years to build, employing Pemba Islanders and using locally sourced materials. Constance Hotels & Resorts, which is known for its impeccable standards, took over Aiyana’s management in January this year and has put its stamp on the resort. The villas feature all the amenities you could wish for, including DStv and air-conditioning – which provides a welcome reprieve at midday in the hot, humid summer months. Some of the 30 villas sleep up to six people, and all offer direct access to the beach. Not that anyone wants to watch TV when a beach lounger is beckoning. An outing by boat to snorkel in the pristine marine reserve or a romantic picnic on a sandbank that materialises at low tide are surely going to trump any screen of moving images. Members of the staff will take you out on a ngalawa (a traditional double-outrigger canoe) and for a paddle through mangroves. On a walk through the nearby Ngezi Forest Reserve, a knowledgeable guide will tell you about the indigenous trees, bushbabies, Pemba flying foxes, birds and butterflies. Just next to it is a spice farm, where you can see what clove, nutmeg and cinnamon trees look like – Pemba is, after all, known as one of the Spice Islands. If you feel like a more sedate activity, book a massage at Maji Spa. The healing, cleansing element of water is a prominent feature at Aiyana: in the pools, the large bathrooms, the fountains and ponds, and especially at the spa. ‘Maji’is Swahili for water. Set in a serene garden, it features five treatment rooms and a hydro. Before you know it, it is lunchtime at Aroma Restaurant with its undercover area and open-air terrace. Decisions, decisions: will you have the Pemba crab soup, the seafood platter, fresh organic fruit and vegetables… maybe chocolate cake for dessert? As its general manager, Barbara Elkaz, says, this is a place for travellers, not tourists. Indeed, if you enjoy a vibrant nightlife scene and crowded beaches and markets, you’ll find all of this at other Indian Ocean island resorts… Aiyana is a real island of serenity for those of us who want to get far away from it all. It’s a low-risk malaria area. Cover up in the evenings, take mosquito repellent and consider using malaria prophylactics. In the winter months it’s warm and there’s little rain. Pemba has a tropical climate. January and February are the hottest with the heaviest rainfall from late April to the end of May. From South Africa, fly to Dar es Salaam. 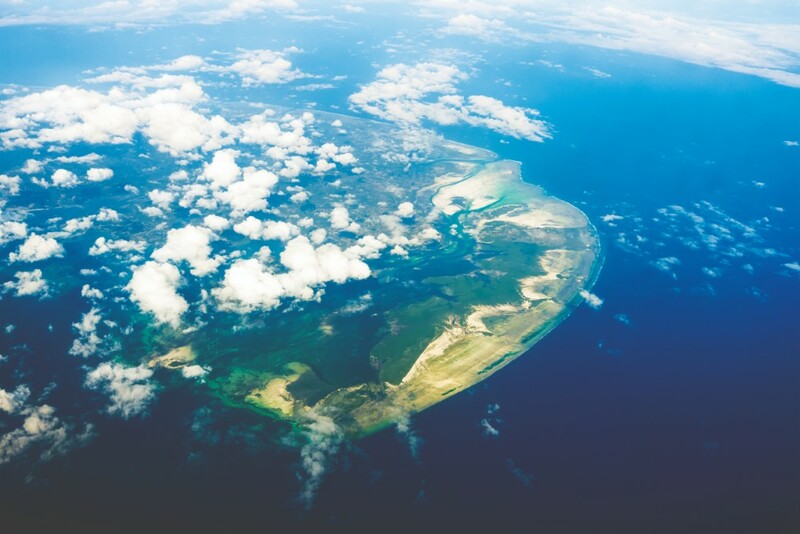 From there take a charter flight to Pemba (Auric Air is one of six airlines that offers scheduled flights). The resort will organise to pick you up at the small airport. The resort will organise outings and activities for you. 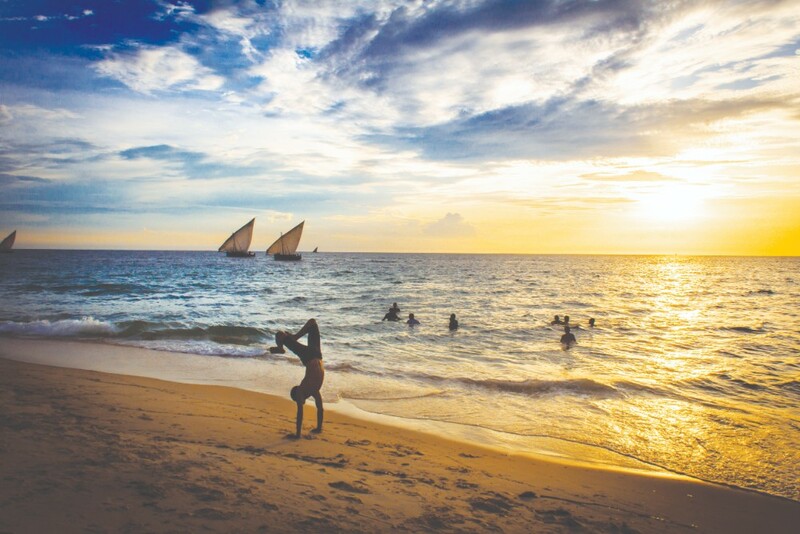 Aside from boat outings and bicycle rides, included in the rate, they can arrange scuba-diving, deep-sea fishing, a guided tour of Ngezi Forest Reserve and a spice farm, and a walk through a nearby village. From US$1 055 per night for two adults and one child sharing, up to US$3 700 for the Presidential Villa. All meals, transfers and activities included. Seafood is the speciality – tuna, dorado and octopus are caught daily. Fruit and vegetables are locally grown and fresh, and the kitchen bakes fresh bread daily and makes wonderful desserts.